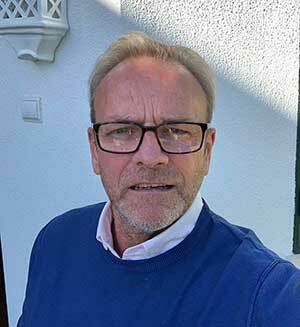 My name's Andrew Hamer, I'm the managing director of the Holiday Villa Company and I've been offering my personal selection of villas to discerning villa goers since 2000. I was previously at some of the most well respected names in Villa Holidays including 'Something Special holidays" during the 80's and 90's and learned what makes a villa special. I personally choose our selection of holiday properties from the thousands available, but I don't just select the most expensive and luxurious ones. We offer something for almost every guest, I'm always on the look out for little gems but each one has to offer something special in its own right, whatever your budget. Because our selection is curated, we don't show recommendations, if a property is no longer up to scratch it's removed from our site. We endeavour to ensure your choice really fits your requirements and if I think it's not suitable I will tell you. Also, if you need a bit of help and advice on the villas, our resorts, the restaurants and facilities nearby, just ask. We're here to help you choose the best holiday property for your well-deserved holiday. With a hand-picked selection of villas with pools for up to 18 guests, well-located town houses close to everything and a few beautiful apartments, there really is something for all tastes and budgets. We also give you peace of mind with the payment protection we provide and if you need to speak to someone, just pick up the phone, you'll normally reach me. We will always offer help and our guests seem to appreciate our straight talking, frank advice.